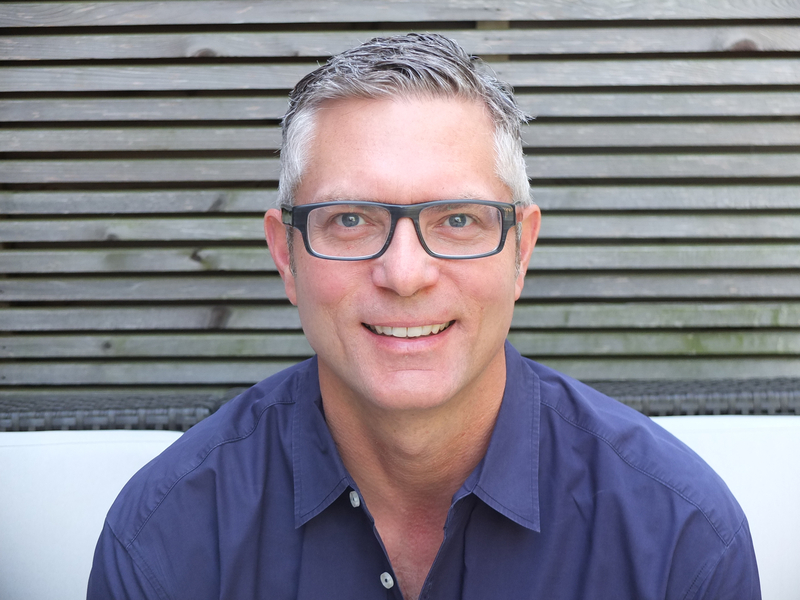 Bestselling author Andrew Pyper returns with a riveting psychological thriller about how the people you’ve known your whole life can suddenly become strangers. What if everything you knew about the people you loved was a lie? After the death of their absentee father, Aaron and Bridge Quinlan travel to a vast rainforest property in the Pacific Northwest to hear the reading of his will. There, they meet up with their mother and troubled sister, Franny, and are shocked to discover the will’s terms: in order to claim their inheritance they must all remain at the estate for thirty days without any contact with the outside world. Despite their concerns, they agree. The Quinlans soon come to learn their family has more secrets than they ever imagined—revelations that at first inspire curiosity, then fear. Why does Bridge have faint memories of the estate? Why did their father want them to be sequestered there together? And what is out there they feel pulling them into the dark heart of the woods? 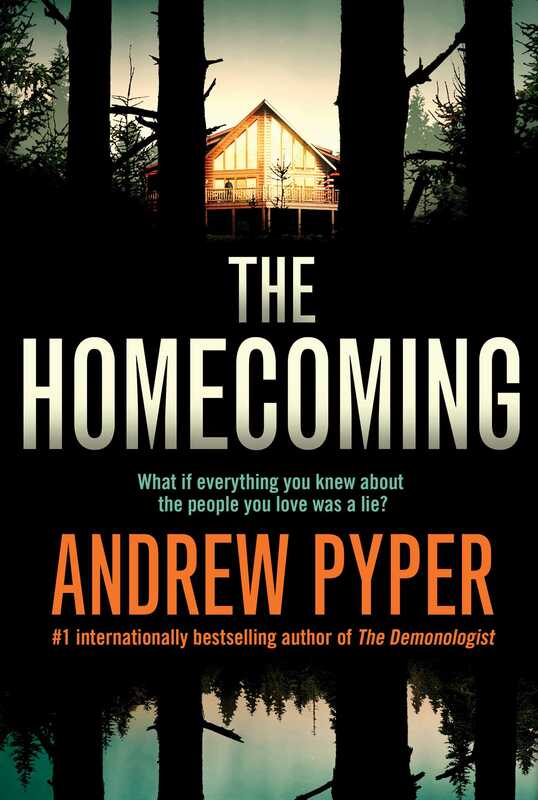 The Homecoming is at once a gripping mystery, a chilling exploration of how our memories can both define and betray us, and a riveting page-turner that will have you questioning your very existence. WHEN MOM CALLED TO TELL me the news, I was surprised at first that Raymond Quinlan was capable of something so human as dying. We were given to understand that Dad was a man of many talents, but none we knew of was so great as his gift for disappearing. All our lives he would leave without saying when he would be back. It could be days or weeks or months. Long enough that just when you thought this time he wouldn’t return, he did. Without warning, unburdened by guilt or explanations. But now he’d gone somewhere there was no coming back from, and it was almost disappointing, the end of his mysterious life coming not by way of stunning revelations or secret agents knocking at the door but the inevitable way it comes for all of us. That “necessarily” irked me. A word my father would use to answer why he couldn’t say where he went. It implied we should appreciate the complicated circumstances behind things having to be this way, his importance, the triviality of our need to understand. You’ll never tell us where you go, will you? I asked him once, though what I really wanted to know was if he ever missed us when he was gone. No, Aaron. I’m afraid I won’t. Yes, he answered sadly. A sadness for me, his tone made clear, not something he felt himself. Necessarily so. The limo stops before I can ask Bridge more about her being here before. The driver pulls open the back door and speaks for the first time since we started out this morning, asking for our cell phones. “Protocol,” he mumbles, the accent hinting at Russian, his fat palm thrust a little too close to my face. “What do we do?” Bridge asks me. We hand our phones over to the driver, who sticks them in the pocket of his blazer and, without another word, returns to sit in the front seat, leaving us to get out. He eases the limo away to park next to another just like it at the edge of a circular gravel area outside what must be the castle Dad spoke of in his stories. What’s the best word to describe it? Not “castle,” certainly. Not “mansion” either, or “home” or “cabin” or “hotel.” My mind can’t stop thinking of it as a lodge, despite its enormity, the stateliness of its clean-lined, modernist construction. It’s the walls made from whole redwood logs that does it. Flat-roofed and maybe a little more than a hundred and fifty feet wide, with a facade that consists of a single floor with few windows, the structure’s main features are the oversized front door with its polished brass knob and Frank Lloyd Wright–inspired metalwork of the railings. It’s a building that communicates its expense through its extraordinary natural materials in place of ostentatious grandeur. “Do we go inside?” Bridge asks. This is out before I can prevent it, and I can see how it troubles Bridge. How she doesn’t want to enter either. She’s fourteen, and I’m twenty-two years older. A gap so wide you might assume we aren’t close, but we are. We’ve made a point of it. My job is to be her dad-in-place-of-a-dad, offering advice on the rare occasions she asks for it, and her job is to make me feel like I’m not alone in the world. “Let’s explore a bit,” I add, as casually as I can. Bridge looks around. We both do. There’s a utility building off to the right at the edge of the trees where I assume the tools and maintenance machinery is kept, though there are no windows to look through to confirm this. I also note how its single door is padlocked. On either side of the parking area are a number of trailheads leading off into the trees in different directions. Four in total, each with a small sign on a metal post. I have to squint to read the words: Red, Green, Yellow, Orange. The kind of generic route names you’d find on a corporate campus. I try to peer along the trails to see where they lead, but each of them, after a couple dozen yards, takes a turn and disappears into the uninterrupted woods. “How about Green?” Bridge says. We start toward the closest trailhead to our right. The trees seem to grow closer together as we approach, forcing our lines of sight to press into the spaces between their trunks only to be stopped by the trees behind them, again and again. It makes me think of looking into a mirror reflected in a second mirror, so that the image within the glass repeats itself into a bending, infinite curve. “You first,” Bridge tells me, nudging my back with her elbow. It’s meant to be funny, and we both force out a laugh, but neither of us move. A memory has come at me so hard I feel it as a punch to the top of my chest, a fist that passes through skin, grasping and cold. There seems to be little pattern to what brings it back. The forest, in this case. One that makes me remember a different forest. The men who emerged out of it, whooping and calling out names in a language I didn’t understand. The blades they swung over their heads, catching winks of the sun. A buried piece of a different life. I force myself to go forward. Two steps into the trees. Bridge doesn’t answer, only pivots to look in the direction the sound came from. Movement through the trees. Sleek and dark and coming fast. We watch it ease to a stop in front of the lodge, the driver opening the back door and extending his hand for the passenger’s phone just as ours had done. A second later our mother steps out. “Hey!” Bridge shouts, and runs off. There’s a strange dawning of recognition on Mom’s face as she watches her daughter come and throw her arms around her as if they’d been separated by an absence of years instead of hours. I’m about to make my way to join them when the hushed woods are interrupted by another sound. Not a car this time. A shuffling approach on the trail we were about to start on. There’s a temptation to pretend I hadn’t heard it and run off as Bridge had. But my mother and little sister are here, and I’m the eldest son. Despite my fear, despite the memory of overseas, there is this—what I am in the family: the surgeon, stable and mature, committed to helping others. I can’t run even if it’s what I want to do more than anything else. I have to tell myself all this in order to turn and look. A figure makes its way toward me. Coming up a slope so that first its head, then its shoulders and legs become visible like a body rising up out of the ground. A woman. Gangly and slight, her arms flapping birdishly out from her sides. She sounds different from when I last spoke to her, though that was almost a year ago, at Nate’s funeral. Her son. Yet I can still recognize the scratchy, sarcastic tone as Franny’s. My other sister, though the truth is I’ve never really thought of her that way. She was always something else before that. A phone call from the emergency room or police station in the middle of the night. A poisonous fog I tried to stay ahead of. Most of the time growing up it was like Franny was only waiting until she could move out and get into truly serious trouble. Now here she is, a year younger than me but looking a dozen years older, half jogging my way in the ungainly, loping manner of someone whose legs are asleep. “You beat us here,” I say. Franny stands a few feet farther from me than she ought to. Taking me in. Comparing the man in front of her to the profile of me she’d framed in her mind. How long would she have to go back into her years of hustling and needles to find a picture she could recall in any detail? “I’d say ‘Sorry about Dad,’ but I’m not sure what that really means,” I say. She searches my face for doubt. And I try to hide it. To not show, through some involuntary grimace or narrowed eyes, how many times I’ve heard this before from her. Sometimes through tears, sometimes in furious accusation, though mostly conveyed with the same stony conviction she speaks with now. It’s convincing. As convincing as it was five years ago when she told me she was pregnant, and during the days in and out of rehab after Nate was born. For almost her entire adult life, being an addict has been Franny’s sole occupation. I’m sure she’d correct me about the past tense. Even recovered addicts are still addicts, the disease in remission but never wholly erased. I’m a doctor; I know I’m supposed to embrace this understanding of why people—why my sister—would devote herself to her own destruction from the first day she sneaked a twenty from our mother’s purse. It wasn’t a lack of will, not a flaw of character, but the bad luck of having contracted a virus. And as a disease is never asked for, it has the power to excuse all cruelties and neglect committed along the way. But the truth is, I can’t talk myself out of seeing Franny the same way I see myself. An escape artist. I ran from my life, and she did too, if only figuratively, following a trail of fixes instead of twenty-six-mile courses through the streets of different cities. In both cases, you collapse at the end. In both cases, you finish where you started. And now here Franny is telling me she’s broken the cycle. Underweight and with a twitchy uncertainty to the way she shapes her face, as if constantly adjusting an emotional dial between dead and insane, searching for the human midpoint. But not stoned. Her words clear and firm even if the rest of her isn’t. And as for making a change, I should know it’s possible. I did it for Bridge. Maybe Franny has done it as a memorial to her own child. But she doesn’t want to hear my words of support. This, it’s clear by her rigid jaw and hands gripped into pale-knuckled fists, is a prepared speech that must be spoken aloud, regardless of the audience. She’s doing it to hold herself together, to prove that she is inching beyond the range of grief, that she can exist here in what remains of our father’s shadow. “I believe you,” I say. And I do. I can’t attest to whether or not my sister will go back to using once she returns to the city, but I’m certain she will do this. I know what it’s like to make a sharp turn, to give shape to life by way of one big move. After that, however, all bets are off. “It’s good to see you, big brother,” she says, and surprises me by wrapping her scrawny arms around my neck and pulling in close. She smells of lemony soap and coconut hair conditioner and lilac body spray. She smells clean. A Paradies Lagardere March 2019 pick. "As much a psychological inquiry as it is an adrenaline-fueled thriller, layered with menace, mystery, and startling revelations that span centuries. A book that begs to be read in one sitting, with the doors locked, the lights low, and a sharp knife and a jug of holy water within reach, just in case." "Pyper's writing is gripping, and readers will undoubtedly make comparisons to Stephen King."